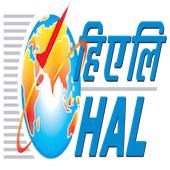 Online Application Details for Hindustan Aeronautics Limited HAL Recruitment of 6 Medical Officer is given below. Application form and duly attested documents are to be sent to Manager (HR-Recruitment), Hindustan Aeronautics Limited, Avionics Division, Korwa PO: HAL-Korwa, Distt: Amethi (UP)-227 412The Manager (HR), Recruitment Cell, Hindustan Aeronautics Limited, Koraput Division, Sunabeda-763002, Dist: Koraput, Odisha. In envelope super scribed with 'Application for the Post of Post Name'.